I suggested Firebase because the cloud Feature is cross-platform. Personally I wouldn't advise any mobile dev to invest in cross platform syncing unless they have a gigantic, Crossy Road-sized active userbase. iCloud savegame via Game Center would be absolutely ideal though! If anyone could turn the code in that Apple developer doc into blocks to be used in Stencyl it'd be amazing. I'd even suggest making it a part of Stencyl itself, much like the Game Center and IAP blocks are now. Same with the Android equivalent. 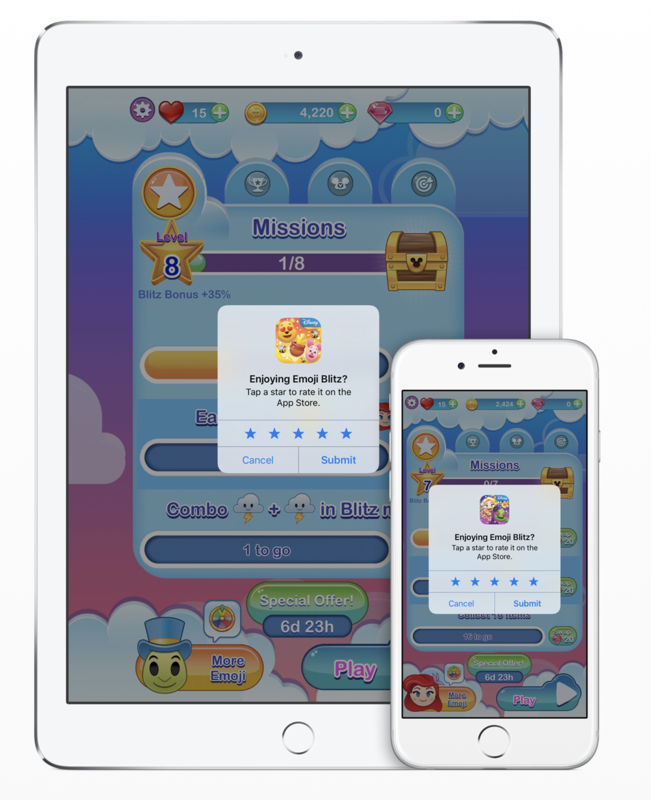 Not only would players appreciate the feature, the platforms themselves would be taking note which helps a ton with getting noticed and featured. A bump because iOS 10.3 introduced a new, streamlined way to rate apps, which I'd love to see in Stencyl. Basically it's a pop up that you can call to be shown and players can rate your game without ever leaving the app at all, p cool.